I'm... digging Aether Keep? There are a bunch of "traps" you can build for no cost out of the gate, so I've got a pretty nasty setup, I think. I haven't played enough to say for sure, but at first glance Aether Keep looks like a version of Arena with everything I hate about Arena fixed. Cautiously optimistic! Oh, neat. 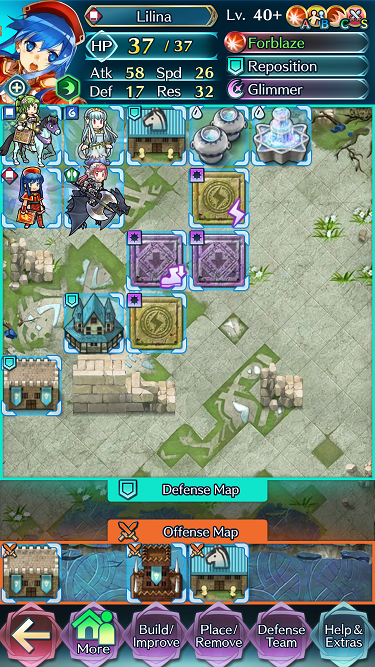 You can also lock in your defense team, which fixes their skills and seals. Prevents you from having to worry about removing your seals from these characters and accidentally weakening your defense. 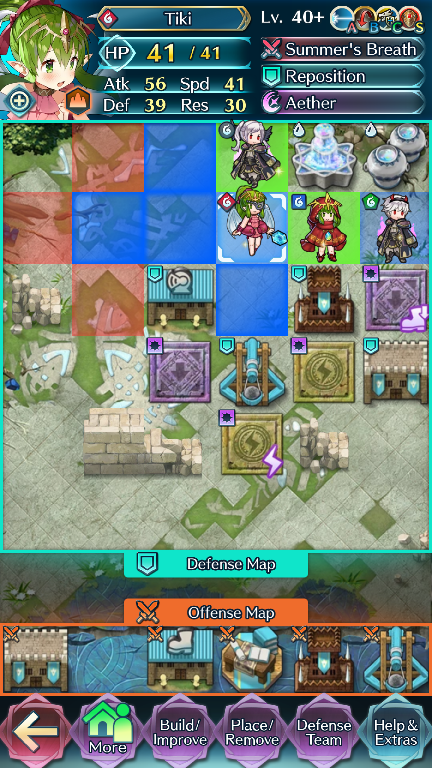 Noting most of all that Ninian has no weapon, and Atk Tactic. Trying to bait out both Cherche and Lilina seems pretty close to impossible, so I imagine the best way to beat this team is to take Cherche out at range and then reposition/dance people to safety. That's why the traps are where they are, but people could destroy the building at the bottom and attack from there. The top right is also a relatively safe entry point, although they'd need to take some time destroying buildings. Really looking forward to seeing how people take this on. 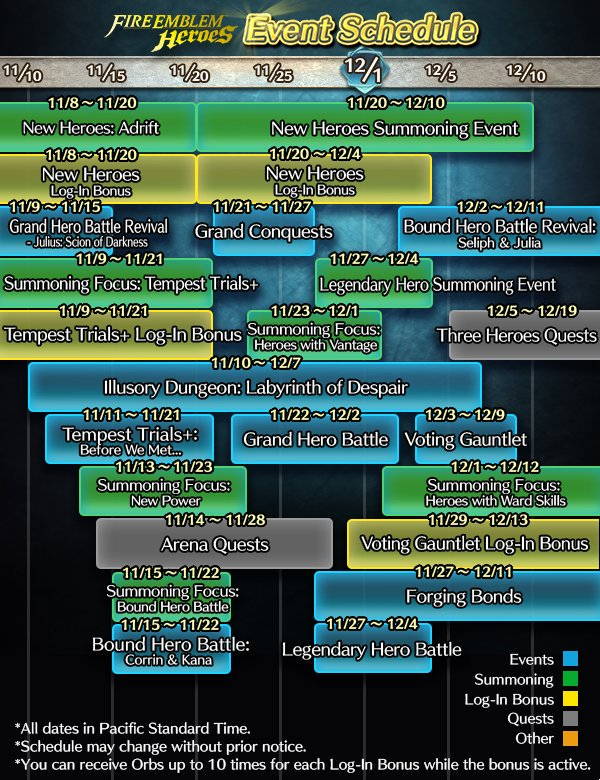 EDIT: I just swapped out L'arachel for Legendary Hector. With Ostian Pulse and giving the Quickened Pulse seal to Lilina, she should have Glimmer ready to go at the start. Yeah, my initial negative impression of having another mode to grind has been altered by things like this sick awesome defense replay feature they didn't even mention in the video. Defensive replays have always been something I wanted for arena. Very happy they added them in some capacity. 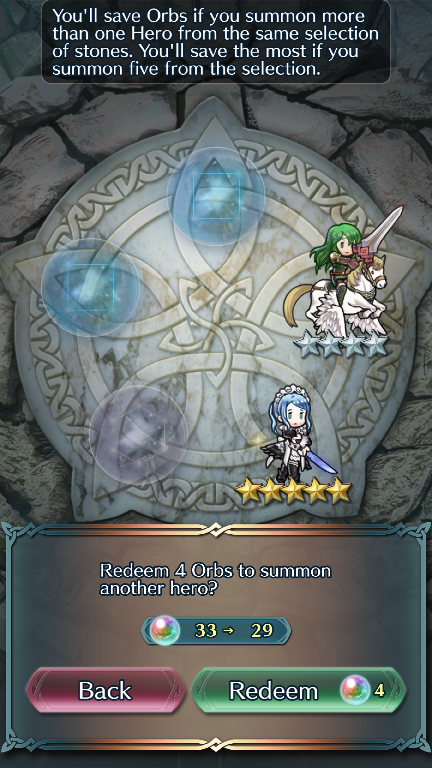 I actually got lucky for once and got a +Atk -HP female Corrin in about 50 orbs. My Dragon Emblem team is very, very slowly coming together after recently merging adult Tiki to +7. So, you can see you lift score as ranked against just everyone in you friends list. Feeling pretty good that my score is the same as @Warlock82 ! Talith is currently leading my list at 800. Eventually I might get lazy, like how I stopped doing arena assault. But for now I'm enjoying it much more than the version in Fates. Free pull got me Leo, which is nice because I didn't have any bonus units for the Tempest Trial. Hmm, I really should set up several AR teams; just noticed it lets you swap teams after taking a peek at the enemy team and formation. Alright, now I'm tier 4 so I get to upgrade the Fortress. Also, I finally got two successful defenses so I'm happy about that. Replay is such a nice feature. It's great to see my traps and funneling working as intended. I keep every 5* unmolested until I pull a second one. I level them all to 40. I’m working towards “complete” builds for all of them. No skills are that important. Note that Kliff's tome benefits from having lower attack than his opponent so -Atk might not be that bad for him. Also, I'm looking forward to when Aversa isn't a bonus unit. Using her feels kinda cheap, and I can't really plan my defense around opposing ones. Tempted to just give up on using hones/tactics on defense for this week. Marisa merges might also be really nice as an infantry pulse unit. Can someone explain how rematching works in Aether Raids? There's two people on my list of defenses that say "Your foe won the rematch! "; I didn't even know that you get some kind of option to rematch when you are the attacker. For one of these people, my defense was a Success, so I guess they lost to my team (which the replay shows) and then were able to win on the rematch (which I don't have a replay of). For the other person, it says my defense was a Failure, so I guess they... just fought me twice? How? The replay for that person isn't helpful either; it suddenly ends during the first turn, so I had to do some maths to try to figure out if my defense was going to kill anything (I don't think they were, so I'm even more confused as to how they were able to rematch). Or maybe that person was rematching me, because I beat their defense? That would make some sense, although it conflicts with the above example. Ahhhhhhh arena was hell. I was stuck with LUKE of all people. He's not too bad about getting kills and his Panic Ploy's ok, but I got real sick of seeing Legendary Tiki killing Myrrh and F-Grima. it would be nice if you could get more aether by destroying the opponents reserve things. maybe tie it into reward. like if you wager this much you can earn x + whatever factor with the increased risk of losing that aether or lift. would definitely change strategy a lot more. You don't lose lift below a certain rank, according to the release notes. You do get more by destroying the two aether buildings. Ahh that's probably it then. Yeah, I understand why we aren't losing lift yet. What I don't get is what those rematches were. When attacking, is there any way to rematch if you lose? Or can you only do a rematch against people who beat your defense? If the latter, why does it say "Your foe won the rematch!" in my first example, when they clearly lost the match? Yeah maybe. Really the limit to how many battles you can do because of aether is kind of butts. I don't really like it. I also can't figure out how you upgrade the Aether buildings. I managed to upgrade the storage one once but now none of them show up for me. Maybe you can only upgrade them once a week or something? Edit: Someone on reddit said it couldn't be built this week, so I dunno. I ended up re-arranging my fort again because I keep losing. Hopefully this layout/team will work better. Basically went all dragon, stuck two armors on instead of full flyer emblem. Hopefully this will help. I have a single success, while the rest are all 1 unit defeated except one at 2 units defeated. The fact that BST doesn't matter means dancers and Reinhardts and every advantage for player phase. Not really sure what advancing past tier 11/4000 lift is going to be like, when you start losing points on defeats. Maybe there's an invisible limit on how many times your keep can get challenged? Otherwise I'm going to be treading water or going down the tube losing more lift to defeats (even partial kills) than victories.  Yeah it will be weird, but you will also get more unit slots, so technically it will be 5/6 against 4/5. Maybe in those cases it will be easier to win defenses? Mine I just kept her default A skill on her (ATK/SPD Bond). It's honestly fine for her. You'll usually want to keep fliers together anyways for the buffs (though of course it doesn't work if she's off killing things with no one near her). Could also probably go with Fury though Fury 3 fodder can also be hard to come by. I am gonna have to power farm feathers to get Wendy another merge so she provides comparable BST (though I'm losing a few points without a refine on her weapon. With the arena reward for 5 wins I'll be at 44, 6 stones away. Two per day from TT but I won't be able to upgrade it until Friday :/ ). Slightly worried about her abyssmal attack stat, but her defenses are rock solid and I gave her a Slaying Spear for effective armor damage. Combined with Warding Breath and Wrath, her specials should be pretty good. Had a Laputa run go sour because armor movement seal doesn't update until the start of the first enemy turn D: 3 casualties when it easily could have been another flawless run.